Riders Up! The 109th racing season at Oaklawn Park opened Jan. 11 and will continue through April 13, 2013. More than $20 million will be available for purses this year as well as popular promotions for the fans, such as the “Boat and Truck Giveaway” and the “$55,000 Progressive Cash Giveaway”. 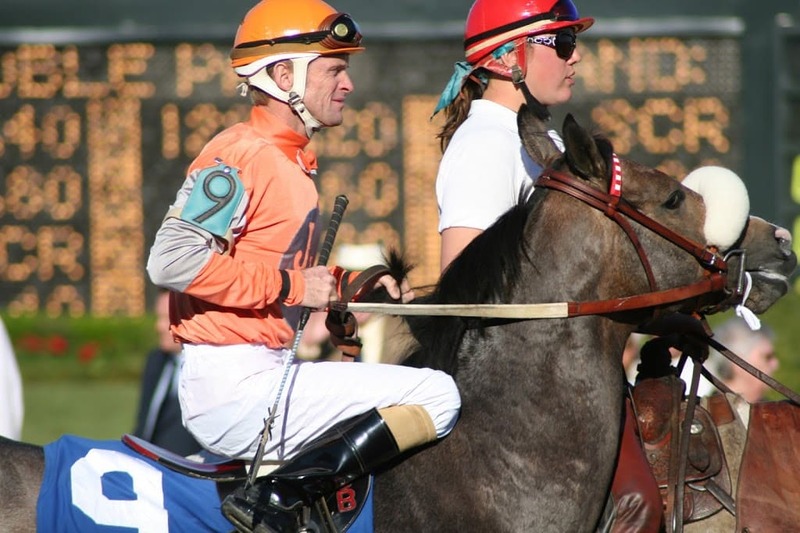 A new feature at Oaklawn in 2013 will be the open Infield every Saturday from the Rebel Stakes on March 16 through the Arkansas Derby on April 13. Fans will be greeted with live music, a beer garden, and family friendly activities, in addition to new food and beverage venues within the grandstand as well. But the real stars of the show are the horses! Whether you enjoy placing a small wager, or just watching these beautiful animals race, you can’t miss the live racing! Post times are 1:30 pm on weekdays and Sundays, and 1 pm on Saturdays. Reserved seating is $2.50 on weekdays and $4.50 Saturdays and Sundays. Oaklawn is located at 2705 Central Avenue, in the center of Hot Springs – and just a short drive from Tiffany’s Bed and Breakfast.